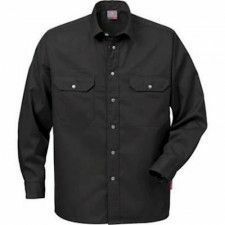 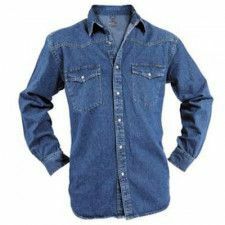 Wide range of work shirts, short and with long sleeves. 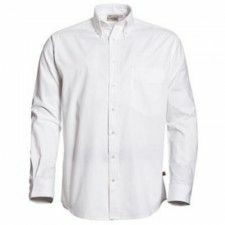 Shirts of good quality, which are representative, but can also take a beating. 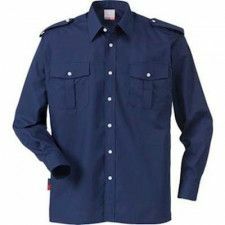 Made of comfortable cotton or cotton and polyester. 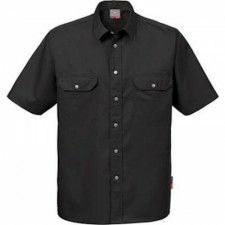 With all work shirts it is also possible to print them. 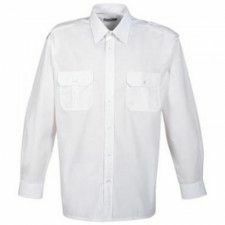 A shirt is always well-dressed, but you can choose whether you want a nail look or a clean white shirt. 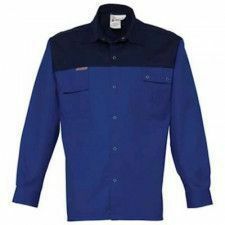 Our shirts are suitable for all industries, for construction, industry, retail and more. 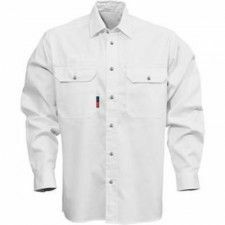 Our shirts are fashionable, but designed from the functional point of view. 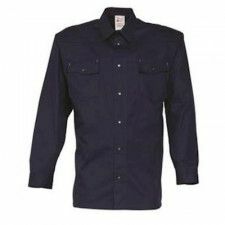 We bring safe and neat clothing together in our shirts. 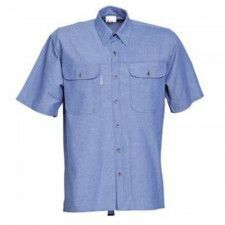 We also have nonchalant, casual shirts in the color blue. 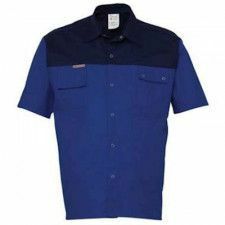 All our shirts have a chest pocket and buttons. 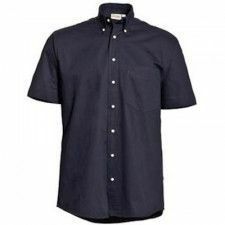 Easy to store stuff. 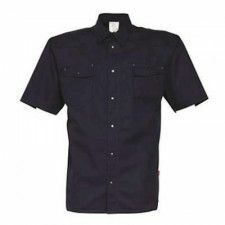 Some shirts in our range also have a separate bag for your mobile phone. 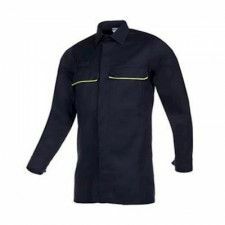 Our work shirts are suitable during working hours, but also in the leisure time. 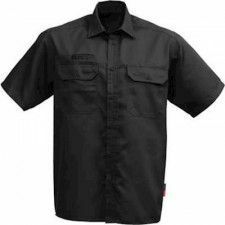 We also have work shirts with an extended back and shirts that have been pretreated against shrinking. 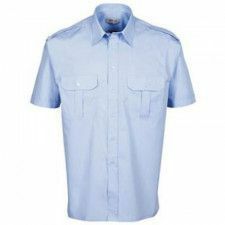 The color of a work shirt is decisive for the look, white is often for business, light blue as well, but this is already seen as less strict. 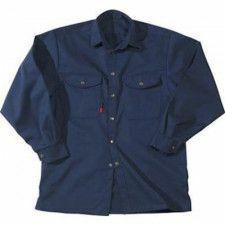 So it is possible for us to have your work shirt printed with the logo of the company, a text or both. 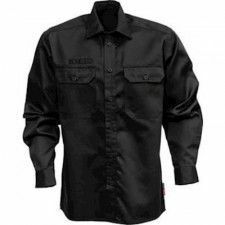 We also have shirts that are certified according to EN ISO 11612 and EN 1149-5. 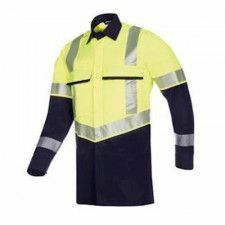 The EN ISO 11612 means that the work shirt protects against heat and flames. 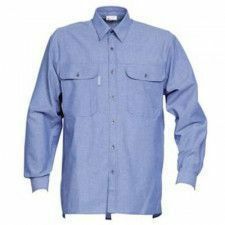 The EN 1149-5 describes the requirements that apply to electrostatic properties that shirts must have in an environment with a risk of sudden discharge of electrostatic charges. 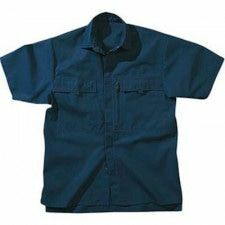 Sleeve length: work shirts short sleeve to long sleeves. 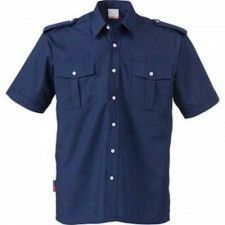 With summer temperatures it is nicer to wear a work shirt with short sleeves, so you still look well cared for, but the temperatures outside. 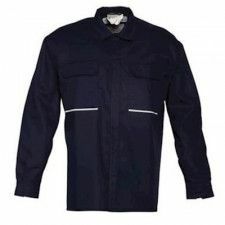 The same work shirts from Havep are available in both short and long sleeves. 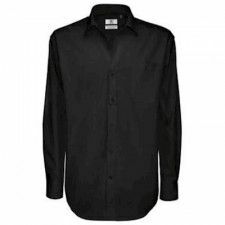 Furthermore, the work shirts have a fitting or spacious fit, with good freedom of movement.